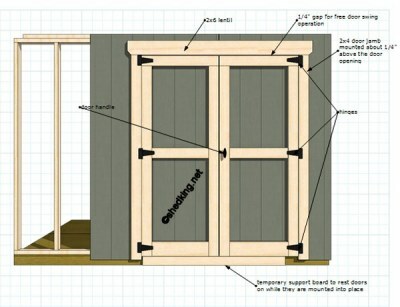 Shed doors can either be pre-hung or custom built. All the methods below are for homemade shed doors and are simple designs using basic materials. Here's one of the easiest ways I use to build double shed doors. You can use this method while installing your shed siding. Build up to 6' wide doors using this technique. 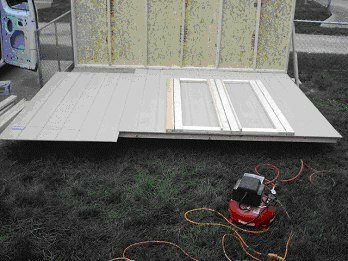 Use this method to build your shed doors if you are siding your walls before standing them up. This is a little more complicated then the method listed above. 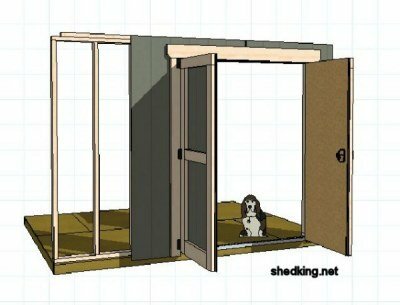 When I built sheds professionally this is the method I used because it allowed me to already have my doors built and have them ready on the job site. Here's the construction guide for you. This method is really simple and can be used for building small or large single swing shed doors up to 3' wide. 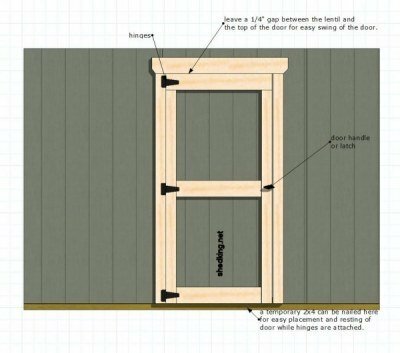 Check out this construction guide for building a single shed door. 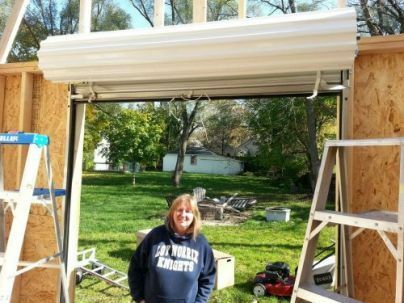 A roll up shed door can be one of the best types of doors to install on your shed. You have to be careful though to frame your shed properly to accept this type of shed door. Here's more info on adding a roll up shed door. Check out this shed door hardware like 'D' Handles, strap hinges, barrel bolts, and even where to get metal to protect the floor where you walk into your shed. You can find them here along with other hardware for shed doors.